If you are doing development work with SItecore 7.5+ and beyond, you may want to set up MongoDB to connect to Sitecore locally or on your DEV, QA, STAGING servers. This is just a brief tutorial on the steps needed to set up MongoDB on your as a service, and then validate that it is connected to your local SItecore instance via RoboMongo. 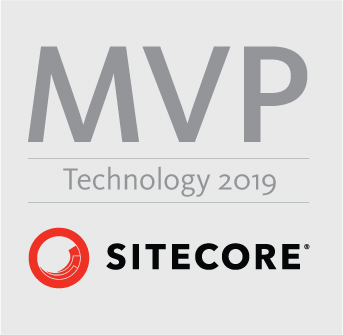 This post relates to Sitecore versions 7.5 and up. Install using the Custom installation so you can change the default location. Typically, I put all my projects and websites on a separate non-operating system drive such as a D: drive. I installed to D:/MongoDB/. In the folder “MongoDB” create a folder called “data” and inside that folder, create a folder called “db”. These will not be created for you during install so you will need to create them. Create a new .config file in the “MongoDB” folder and name it “mongo.config”. This is where we will store the configurations for MongoDB. You can use GUI tools like RoboMongo to work with Mongo data. Typically, Sitecore connections strings are already setup OOTB so you really just need to set up MongoDB. If you want to verify that your data is being stored then simply download RoboMongo. The example below is using MongoVUE, but I don’t recommend as it has been problematic in the past to download from their website. However, the process is basically the same for RoboMongo. Once installed you simply click the green plus icon to add a connection, then type in the name of the connection, and the server. Since, you this is on your local workstation you will use localhost OR 127.0.0.1 then save. Now you should be able to see your connection listed in MongoVUE, and if you expand the connection you will see your tables and data being captured from Sitecore. During the making of this blog post, I referred to these blog posts below, which helped me to achieve setting up my local developer workstation to run MongoDB as a Windows Service and connect it to a Sitecore 7.5+ instance. One last thing, if you are using SIM (Sitecore Instance Manager), you can also perform all the above in one click. Happy coding! This entry was posted in MongoDB, Sitecore Marketplace Modules and tagged MongoDB, mongovue, sitecore, windows service on April 12, 2016 by Toby Gutierrez.